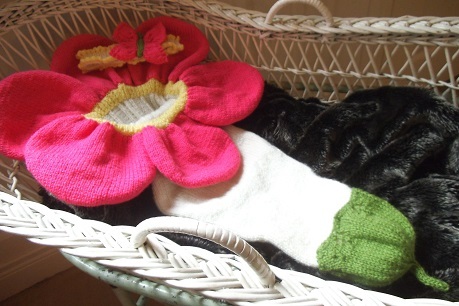 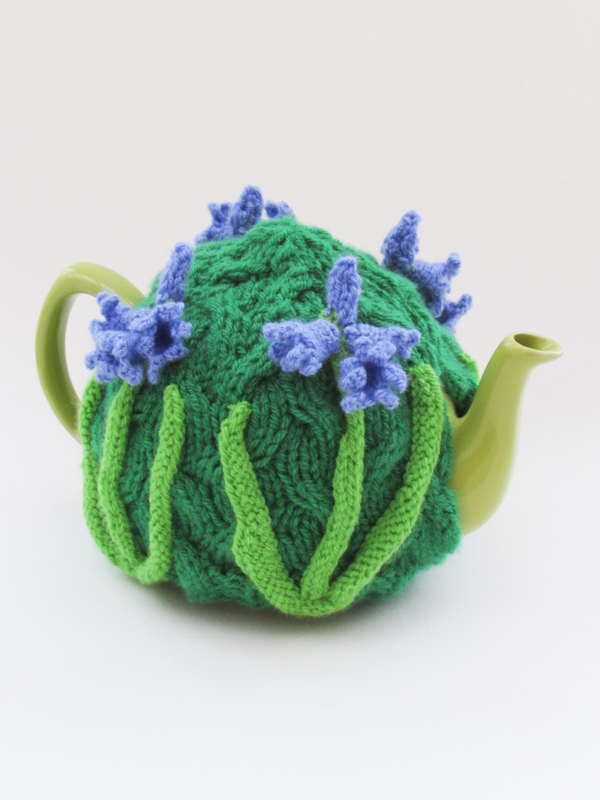 The bluebell tea cosy was inspired by lovely walks in bluebell woods. 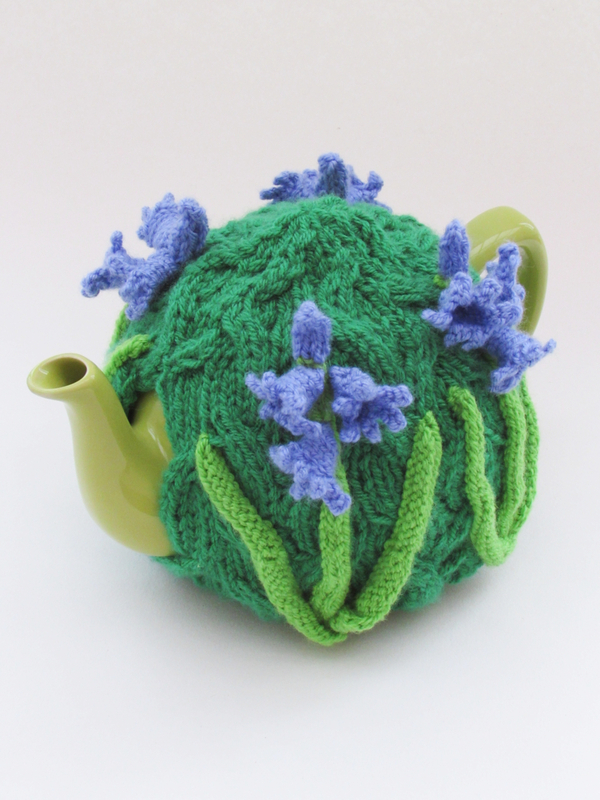 Bluebells are so dainty and so scented, they are just wonderful. 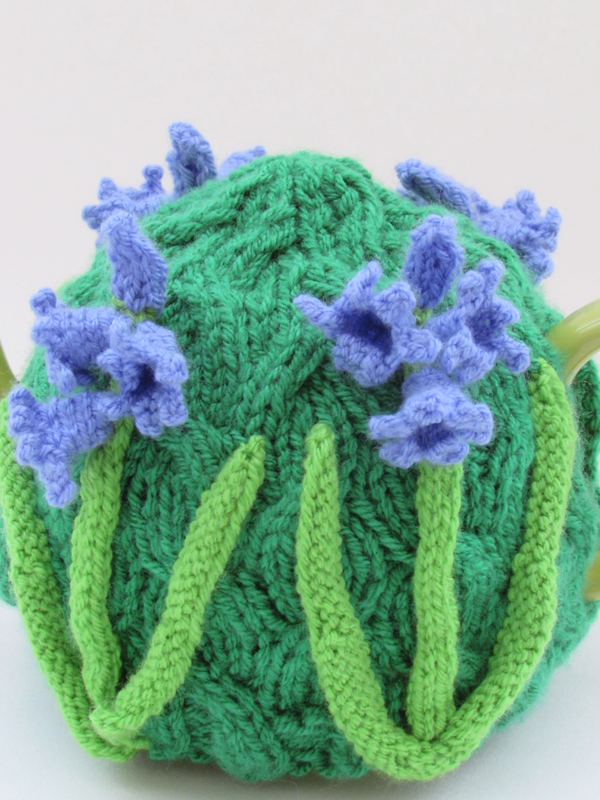 The main part of the bluebell cosy is bark green and worked in a loose cable stitch to give the impression of density of the woodland floor. 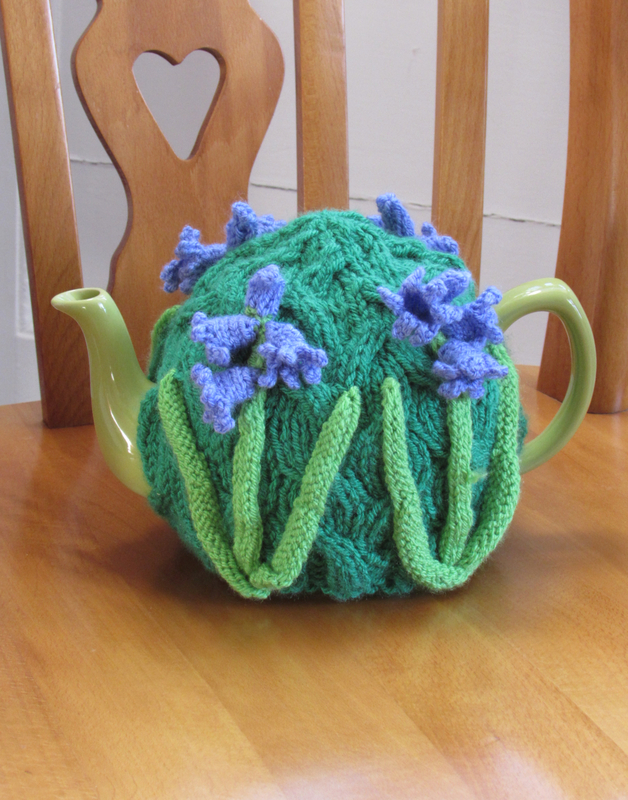 On top four stems of bluebells are apliqued on. 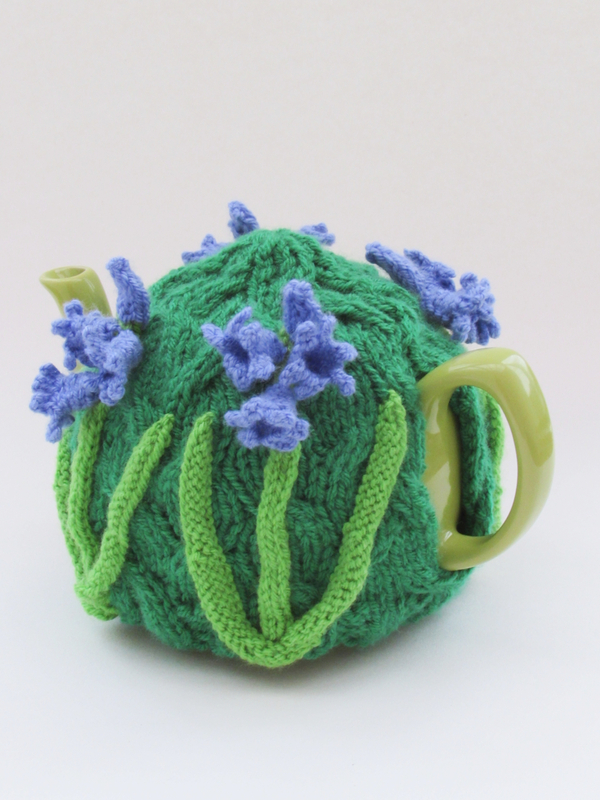 The bluebell flowers themselves are small and cute, each having six curled petals. 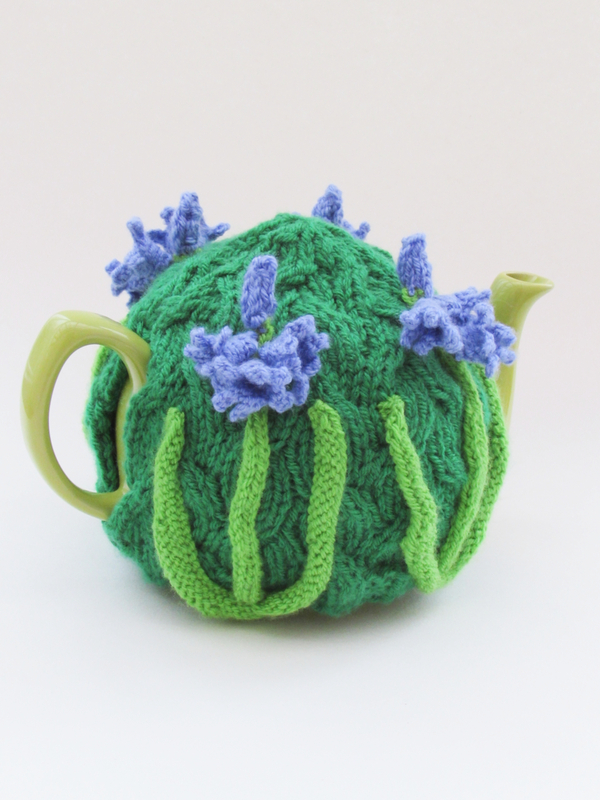 The bluebell tea cosy is a simple design that makes it rather elegant and the use of cables and makes the cosy look fresh and modern. 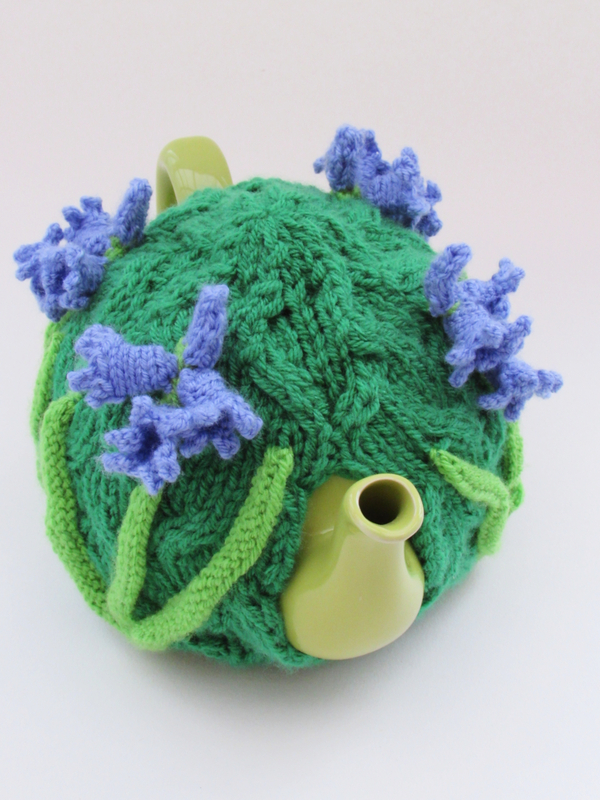 This tea cosy with its charming bluebells is perfect for garden lovers and people who love spring time. 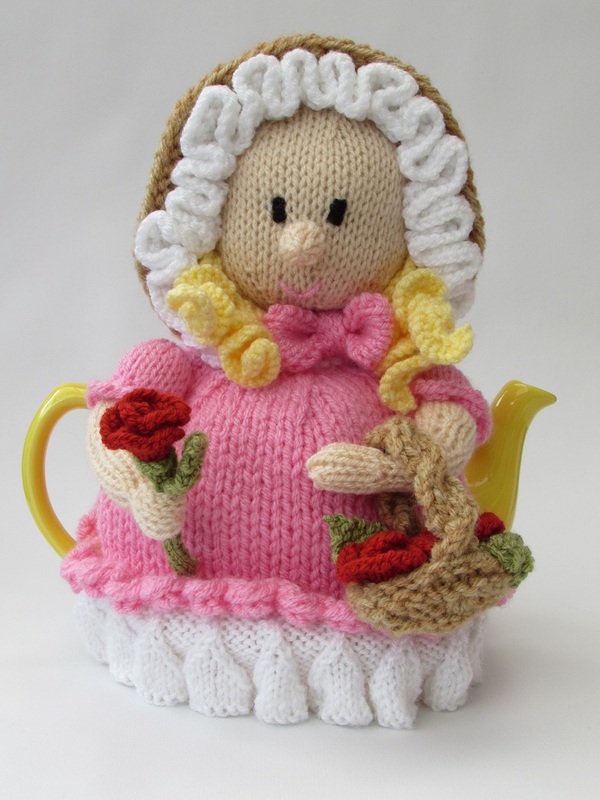 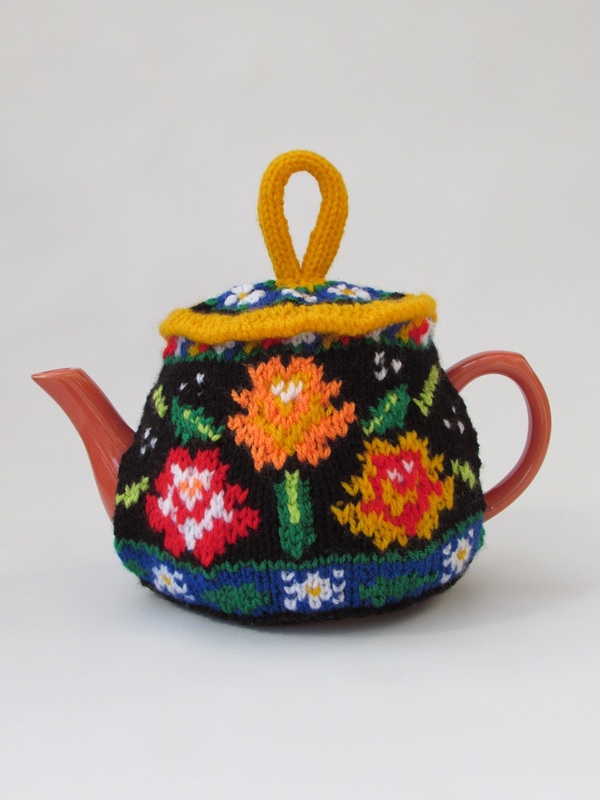 It's a cheerful tea cosy that's not over stated. 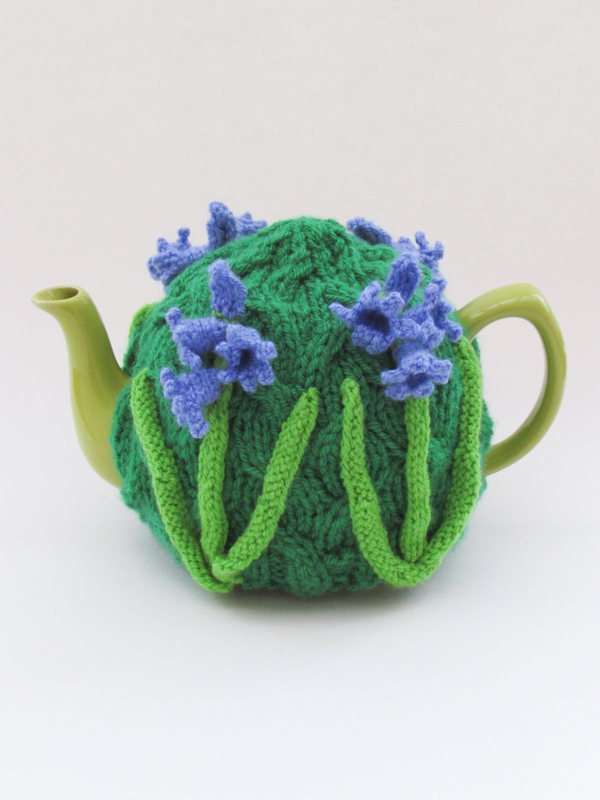 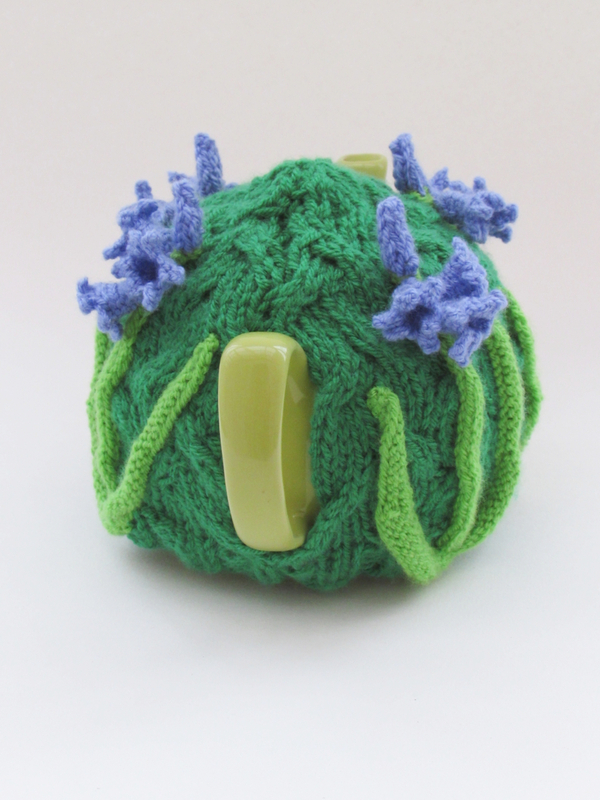 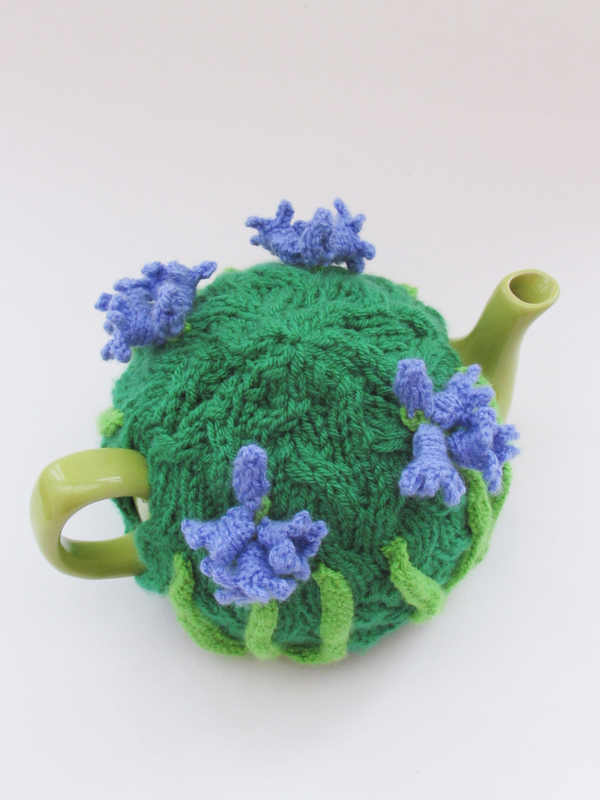 You'll be in and out the dusty bluebells with the bluebell tea cosy. 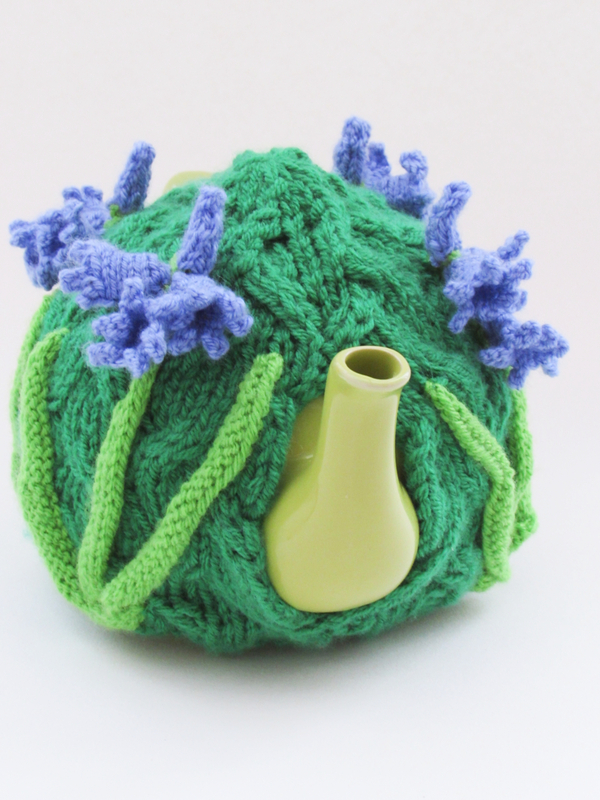 Knitting Pattern (by digital download): ? 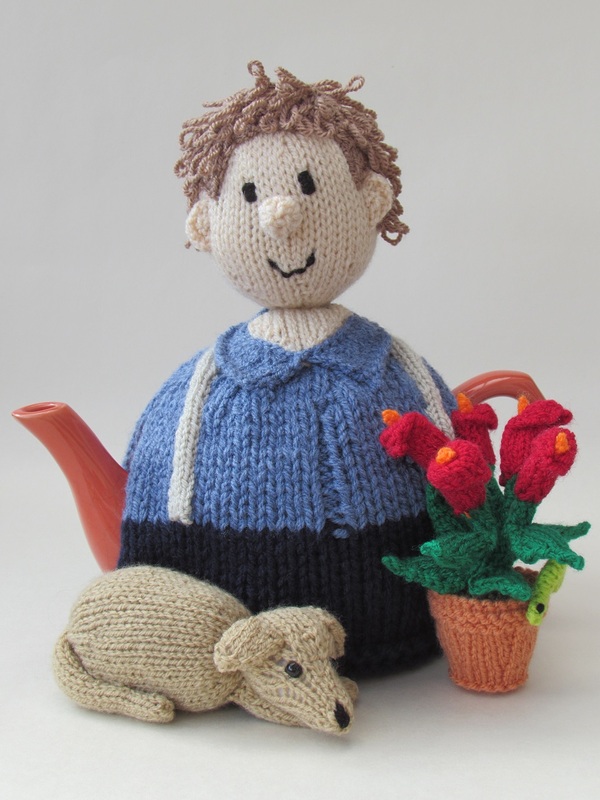 The knitting pattern is for digital download. 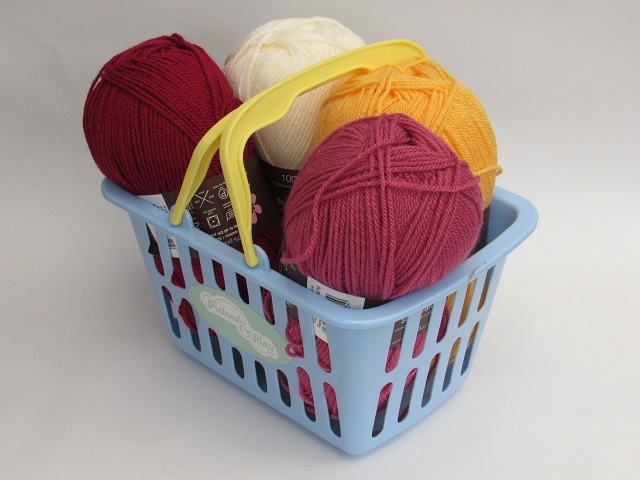 After you have placed your order you can access the pattern by logging in with your email address and password. 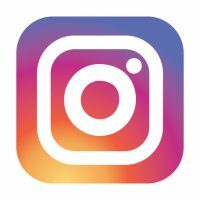 For new customers we will provide a password for you.